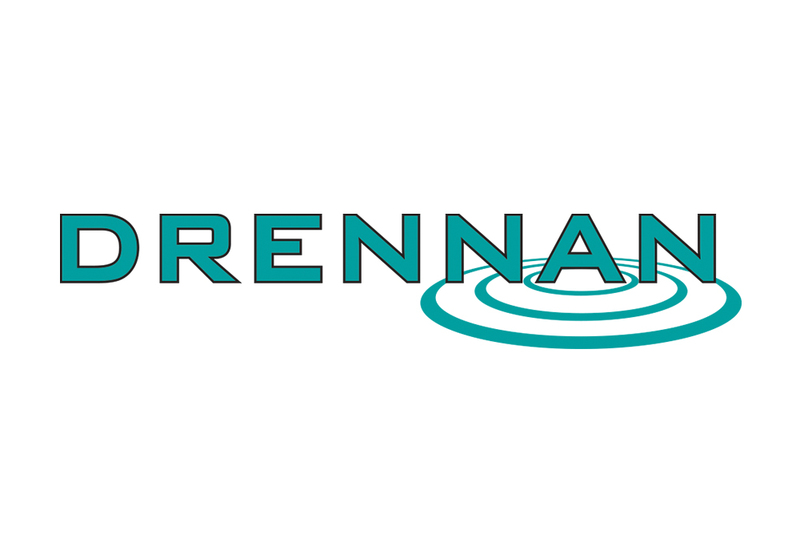 Home > In The Media > NEW Products from Drennan! 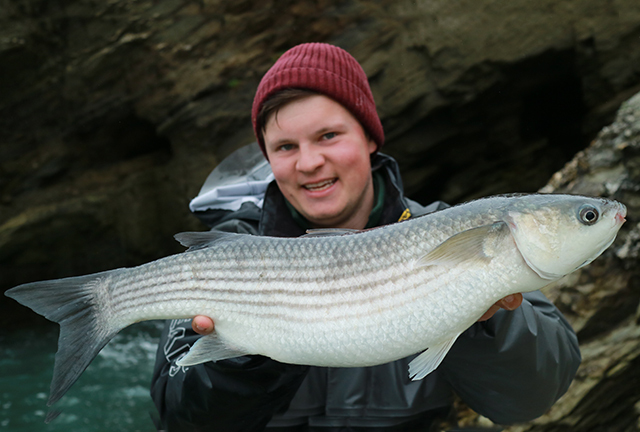 We are pleased to reveal a whole host of new and updated tackle this November! 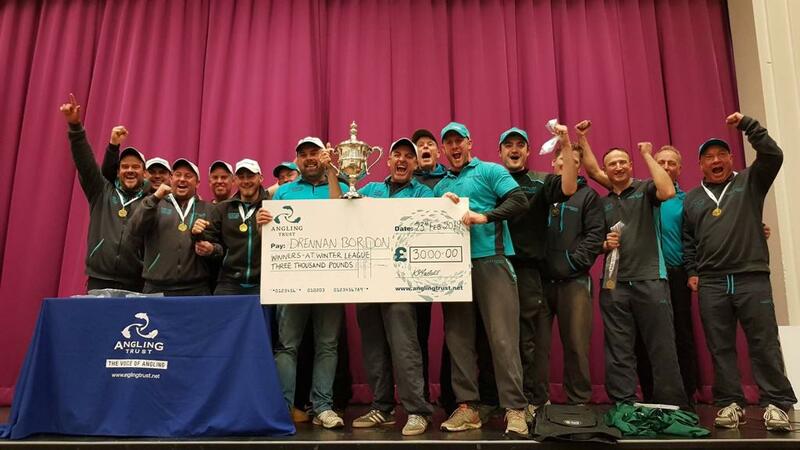 Rods, pole floats, wagglers and more! 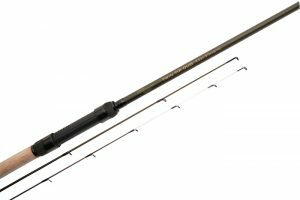 Firstly, we have added an additional two rods to the Specialist Twin Tip Duo range in the form of an 11ft and 12ft 1 ½ model. The rod is designed for a wide variety of fishing scenarios and comes with two dedicated top sections, an avon top with a 1.5 test curve and also a quiver tip section which is supplied with a 3oz and 4oz carbon tip. The AS9’s are available in seven sizes from 0.2g all the way up to 1g. They feature a 2mm hollow plastic tip and our new nickel titanium stems in 0.7mm. 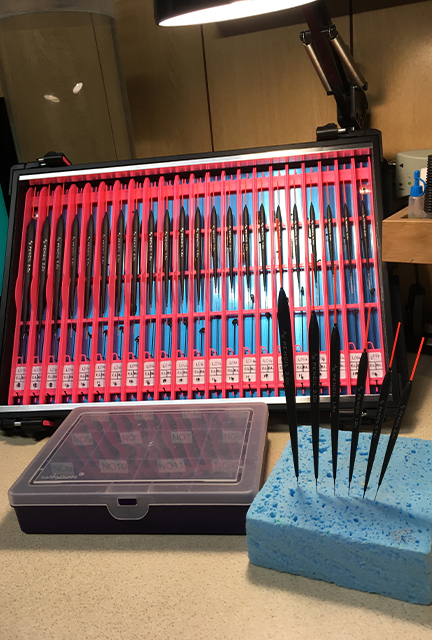 The Visi Wag 1 features a 4mm hollow tip and comes in seven sizes ranging from 1g to 4g and the Visi Wag 2 come with a 2mm tip and in five sizes ranging from 1g to 2g. Each float in the range has been designed so that you can change from one size to the other without changing your shotting pattern. 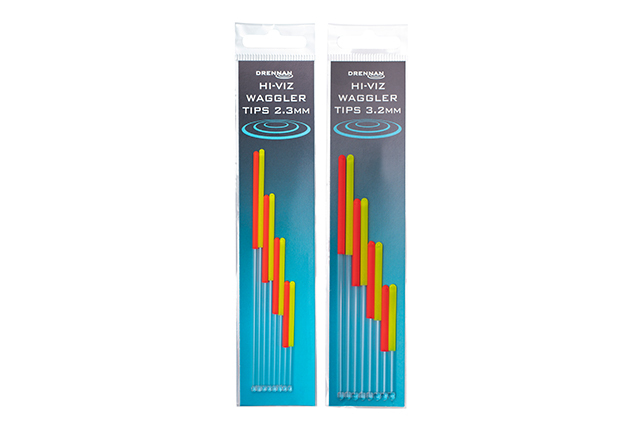 These Hi-Viz Waggler Tips are designed to fit the Drennan Crystal® range of Insert Wagglers including the Puddle Chuckers. 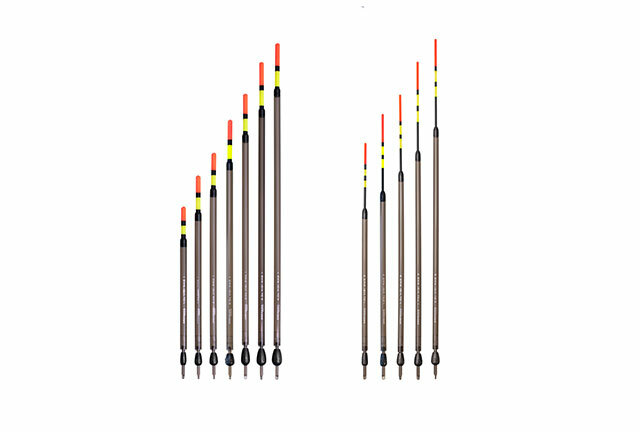 They are available in two sizes, 2.3mm and 3.2mm. 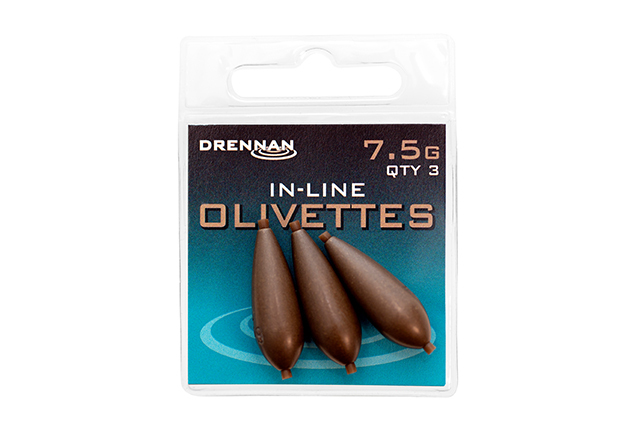 Each pack contains eight tips in two different colours and in four different lengths allowing the angler to alter the float as required depending on the situation. 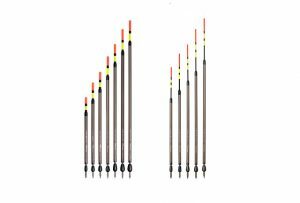 As the name suggests these tips have our new Hi-Viz paint finish which allows the light to reflect through which in turn produces a much more visible tip. 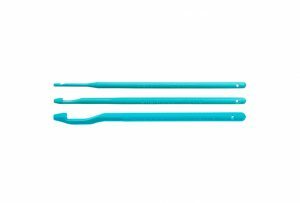 Pole Float Silicone comes in four different diameters and consists of two pre-cut sizes of silicone tubing in each pack. Supplied with both black and clear silicone, you can use the black with carbon stems and the clear for wire. 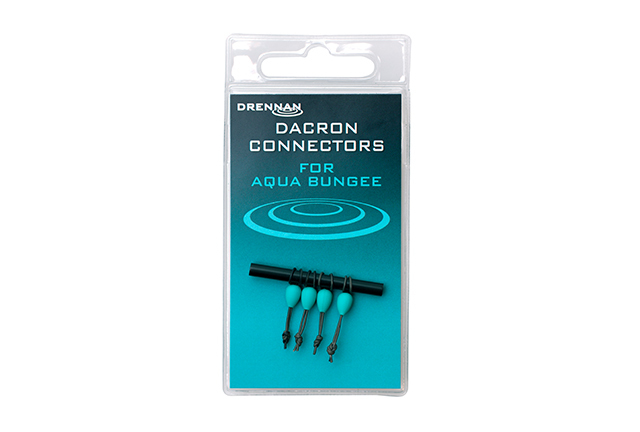 The new aqua Dacron Connectors are designed for F1 & Silverfish Bungee and feature a braided material that is coated to ensure it is kind to both your line and the elastic. A lightweight alternative to the traditional, plastic elastic connector. 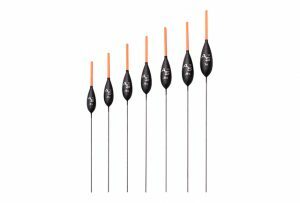 The material is also designed to be stiff enough to help push the mainline away from the pole tip, which vastly reduces the chance of wrap-over tangles. 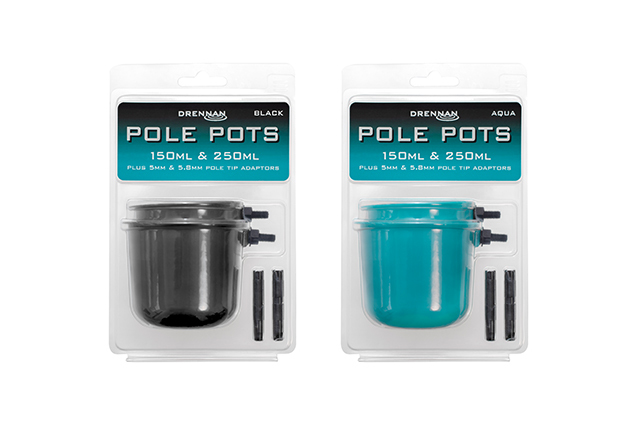 A set of two pole pots in either aqua or black complete with two adaptors for fitting to the end of a cupping kit. 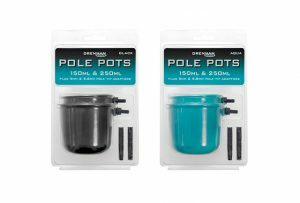 These pole pots are rigid, tough and lightweight. 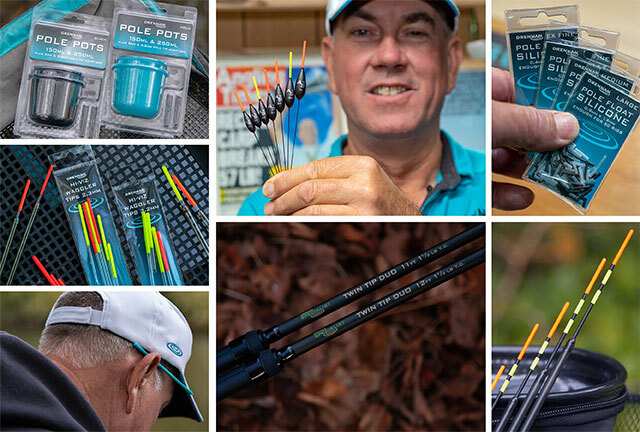 An essential item for every pole angler! 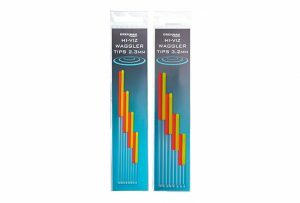 They can also be useful for measuring out precise quantities of feed, vital when fishing during the colder months. We have just added seven new intermediate sizes of olivettes to the range in the form of 2.25g, 2.75g, 3.75g, 5.5g, 7.5g, 9.5g, and 11.5g. These perfectly streamlined weights are finished in a non-flash, camo bronze. The sizes are also clearly engraved on the side for ease of identification. The line is threaded through the centre so they cannot come off, which makes them particularly suitable for snaggy swims or when targeting big fish. Three new Disgorgers, but this time, in aqua! 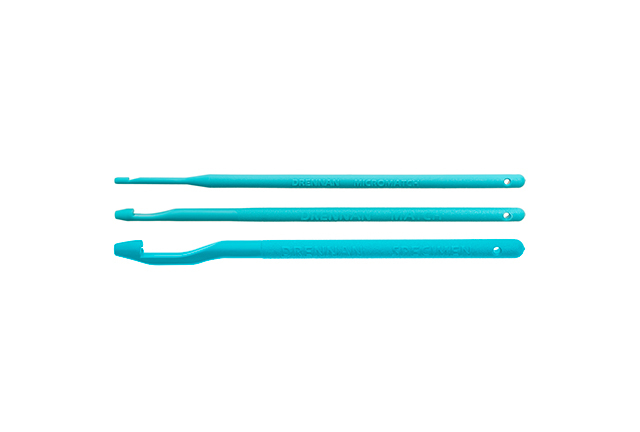 There are three sizes in the range, Micromatch, Match and the Specimen which is designed for larger hooks. 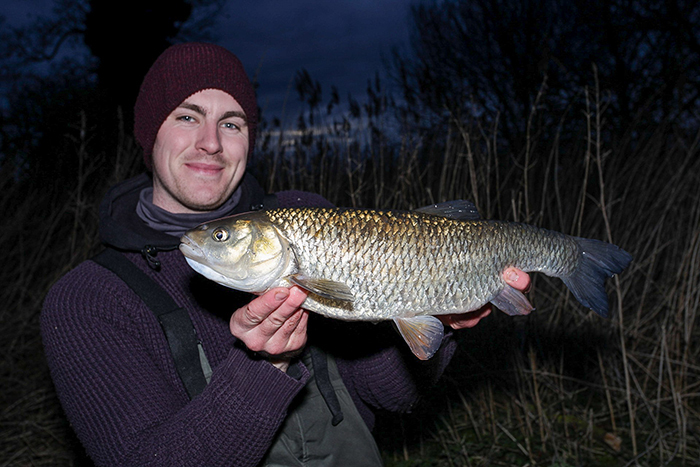 An essential item of tackle for any angler. 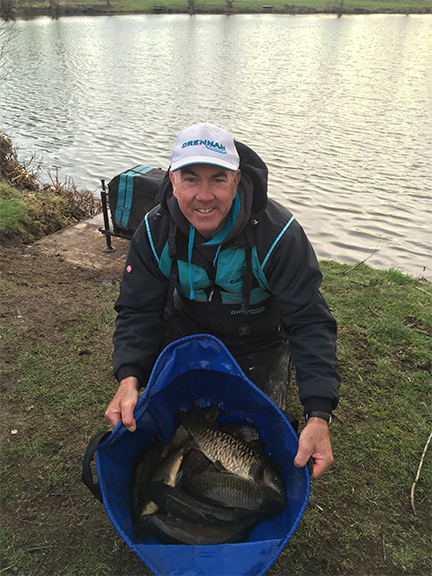 All of these great new products are available now and will be finding their way into all Drennan stockists over the next couple of weeks.